We are a residential letting and property management company operating in the East Northamptonshire area. 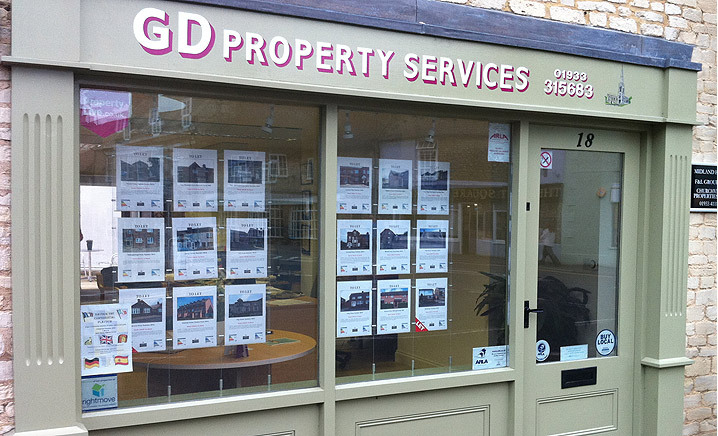 GD Property Services are proud of the excellent customer service we give to both the Landlord and Tenant. A professional, knowledgeable and informed service. This web site was designed to help and guide the experienced and not so experienced Landlord and Tenant through the various processes of renting residential properties. Just click on one of the above links to find your answers. Over 25 years experience in residential lettings. No hidden fee's or charges. A professional letting and property management service focusing solely on letting.